TRUE Force SF1050 Dumbbell Rack – Tower Fitness Equipment Services Inc. Oversized flat trays accommodate any style dumbbell. Angle of top tray allows kettlebell storage. 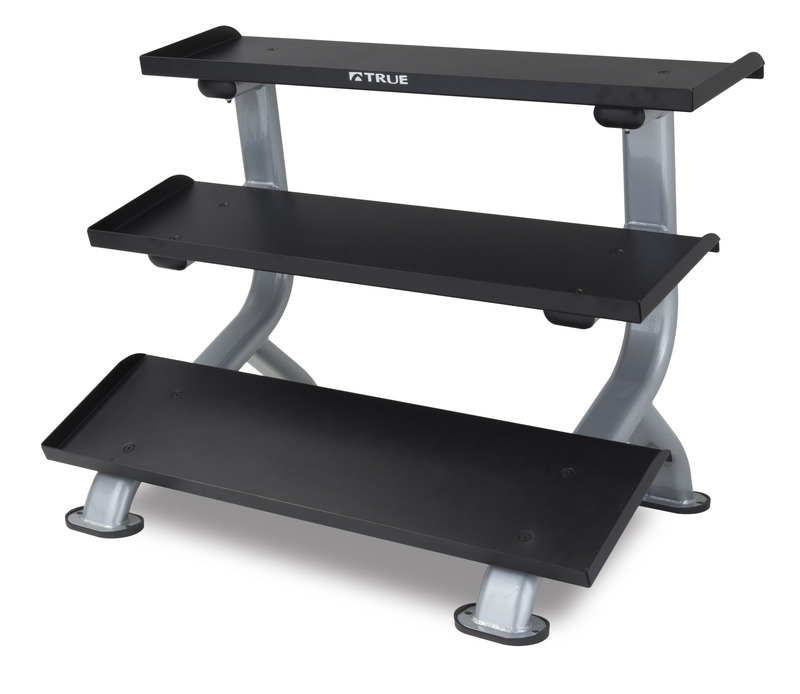 This sturdy, aesthetically pleasing rack is a must-have item for any facility. The oversized, flat trays on the TRUE FORCE Dumbbell Rack create added stability and securely hold any size dumbbell or kettlebell. The FORCE Dumbbell Rack is made with super-duty, commercial grade materials, and the quality construction standards the TRUE name has become known for.